The most exotic flavors of the Indian cuisine are in its regional and traditional street foods. Chaat-a roadside retreat, is the most common street food in India. Hard to believe but it was actually originated in Shah Jahan’s kitchen. This north Indian dish is a colorful fusion of sweet and spicy flavors served hot and fresh. 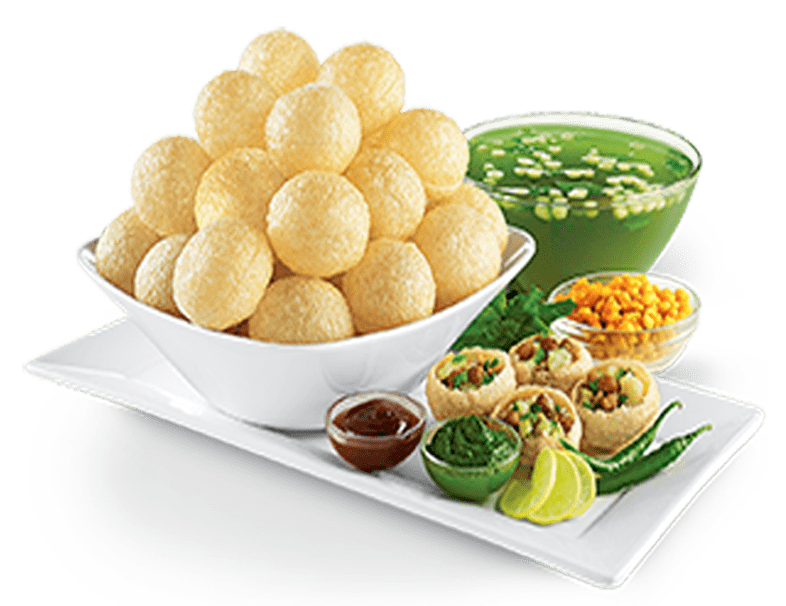 Pani Puri or golgappa are yet other spicy-tangy little balls of delight famous in this vast country. Chatar Patar is the first pani puri brand in India. When Mr. Prashant suffered from a bad experience due to eating at a local vendor’s stall and fell ill, he decided to launch a pani puri brand. The problem was adequately addressed by him and turned into a business opportunity. An Infosys employee turned into a young, successful entrepreneur. This inspiring story is for all potential entrepreneurs in the city of Ahmedabad, the largest city and former capital of India’s Gujarat state. This city holds the third rank in Forbes’ list of fastest growing cities of the decade and has emerged as an economic and industrial pivot in India. Ahmedabad has been long known for its textile industry, and today more for its petroleum, chemical, international trade and IT industries. The city has always been cited for its shrewd businessmen and hospitality. Chatar Patar offers a lucrative opportunity of buying its franchisee model. Franchising business is flourishing in India due to its various advantages. A franchising model in the street food sector is considerably revolutionary. Business problems when catered well turn into opportunities and Chatar Patar definitely proves this statement true. The city harbors venerable institutions like Gujarat Technological University, CEPT University, Nirma Univesity, Darpan Academy of Performinng Arts, Physical Research Laboratory, IIM Ahmedabad, Gujarat National Law University, Ahmedabad University and National Institute of Design. Interestingly the Entrepreneurship Development Institute of India rests in the city and attracts passionate students from all over India. Chatar Patar already owns a profitable venture in Ahmedabad and aspires to spread its wings more; prospective and young entrepreneurs in this institution can prove to be an ultimate boom to Chatar Patar and so can Chatar Patar to the dreams of these tireless aspirants. New entrepreneurs face the hurdles of age stereotypes, financial issues, dealing with stress and doubt and finding customers. Here comes the aid of the franchisor in making the business of the franchisee successful. Therefore, in this highly competitive market franchising is a much better and safe option for new entrants. Old Amdavad was the first city in India to be declared as UNESCO World Heritage City. Gandhi Ashram, Sidi Sayed Mosque, Heritage houses of Poles, Akshardham Temple, ISKON temple, Hathisingh Jain Temple, Juma Masjid and Jhulta minara are some of the magnificent monuments here. The city experiences people swarming during the Navratri (festival of nine nights) and Uttarayan (festival of kites). The city’s hand embroidered and tie & dye clothes are well known in addition to its traditional jewellery designs. Local bazaars and eateries are brimming with people. Amdawad is said to be a gastronome paradise. Gujaratis are vegetarians and pani puri, chaat, veg sandwich and bhel goes on very well with them. Ahmedabad was chosen as the best city in India to live in by The Times of India in 2012. The city houses the second oldest stock exchange in India. Its residents are very fond of sports, especially cricket. Amdavadis are fun loving people and since fun and food are inseparable, eateries are a must. Chatar Patar owns its stores in 20+ Indian states including Gujarat with phenomenal response. The brand is a recognized one and works on the principle of customer satisfaction. It is a lucky chance for prospective entrepreneurs with a small scale business in mind that requires low capital investment and offers high rewards.